We are also trading Inverter based digitally controlled synergic GMAW outfit that comprise our gamut of high performance Mig Welding Machine. UFS's each fire extinguisher is welded by automatic MIG Welding machines, which provide high quality of welded joints. In order to cater the variegated demands of our precious clients, we are offering a wide range of MIG Welding Machine. 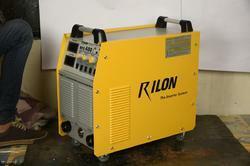 We offer to our clients an efficient range of Welding MIG Machine. These machines are easy to operate and designed as per the industry standards. They require minimal maintenance. , Our range is offered at market leading rates and are widely popular for longevity, robust design and noiseless operation.